Add effortless glamour to any look with these intricate chandelier drop earrings. 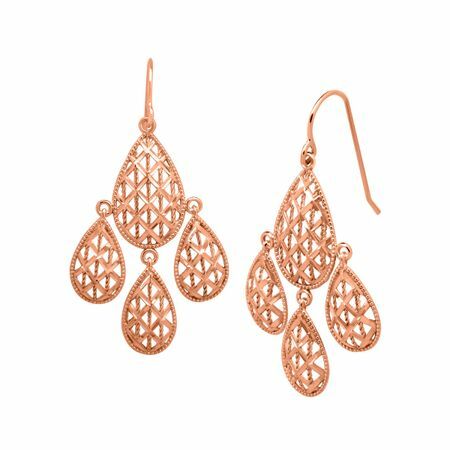 These shimmering pieces are crafted in 10K rose gold with a filigree design. Pieces measure 1 1/8 by 7/8 inches.